With so many “churches” in the religious world, people interested in visiting one are often sidelined by the inevitable question, “which church should I go to?” After all, there are as many “churches” as there are potential opinions on what a church should be like. But where should a person begin as they search for a church, should they simply jump out on a whim? Hardly. Searching for a church should be a reverent endeavor, especially since in the New Testament the “church” is said to have been “purchased” by the very blood of Jesus Christ (Acts 20.28). Consequently, if the church was that important to Jesus and the Father, those seeking to “go to church” should realize this spiritual venture should not be taken lightly. Where then might a person find the necessary perspective from which to begin this search? The relevant information is found in the New Testament documents, the documents which record the formative forces which began the church in the first place; moreover, the New Testament provides ample information about how people became members of the blood-bought church of Jesus, along with important church organizational references. This piece is a primer, in a sense, on the nature of the church. There are many ways that this topic can be addressed. But, nevertheless, below are some relevant points to glean from the New Testament on the topic of the church of Christ (Rom. 16.16). In the New Testament, from the beginning to end, the thought and actual fact that the saved existed as a collective known as the “church” or body of Christ is clearly self-evident (Matt 16:18 and Eph 1:22, 23, 4:4; Acts 2:47). Consider a sample of the New Testament documents. There are four accounts of the ministry of Jesus, they are called Gospels. The term “church” is found only in the Gospel of Matthew, particularly in chapters 16 and 18. In chapter 16, Jesus speaks of building His church – “my church” (16:18). He explains that death (Grk. hades – not hell, contra KJV) will be incapable of deterring his plans to bring His church into reality. In chapter 18, verses 15-17 describe the disciplinarian process regarding a Christian brother living in sin, and hence, needing private correction. The final stage is to bring the sin to the public forum by telling it to the church, with the intention that it can act as a loving measure of leverage to pressure the brother to quit the sinful practice. Thus, in Matthew Jesus speaks of his church in two ways: (1) that it will be built (Matt 16:18), and (2) as the ultimate forum for maintaining moral purity among God’s people (Matt 18:15-17). The Acts of the Apostles is the inspired historical account of the church – albeit a history with a theological focus. It is most definitely a primary source for the church, and therefore a logical document to examine in order to find the biblical church. To save space, consider what we find in only the first half of Acts (Acts 1-12). We find it was “the church” that had become fearful after the Divine retribution against Ananias and Sapphira was administered by the Lord (Acts 5:11); the object of Saul of Tarsus’ brutal obsession was “the church” anywhere it assembled (Acts 8:1, 3; cf. Gal 1:13); it was “the church” at large in Samaria and Judea that enjoyed peace when the persecuting Saul became the believing Paul (Acts 9.31). We find Barnabas and Paul (Saul) laboring in “the church,” particularly in Antioch of Syria, and labeling the disciples (i.e. the individual members of the church) Christians (Acts 11:22, 26); several members of “the church” suffered persecution under the hand of King Herod (Acts 12:1, 5); “the church” in Antioch of Pisidia had prophets and inspired teachers, and sent Paul and Barnabas out to accomplish their first missionary call (Acts 13:1ff. ); Paul and Barnabas had appointed elders in every “church” they established on their missionary labors (Acts 14:23), and upon their return to Antioch they recounted they travel to “the church” (Acts 14:27). The largest sub-category of the New Testament documents is The Letter (also commonly styled, “epistle”) – 21 letters to be exact. They are further divided by the prophets which God employed to pen them: Paul (13 letters), John (3), Peter (2), James (1), Jude (1), and the unknown author of the Letter to the Hebrews. This is a vast amount of literature to scan, but we can reflect on the following citations of “the church” among the letters and observe that “the church” is the redeemed body of Jesus believers. It goes without saying – at least it should be by students – that the New Testament Letters assume their audience is the redeemed body of Jesus disciples. Ancient letter writing etiquette had the author’s name first and then the recipient’s name; thus, we read, “from me… to you.” When Paul wrote his letters, he often addressed the recipients with the nomenclature “saints” (cf. Rom 1:7; 1 Cor 1:2; 2 Cor 1:1; Eph 1:1; Phil 1:1; Col 1:2). The term “saint” is the general description of all members of “the church” in the respect that they have been sanctified in baptism, and this sanctification continues in obedience shown by a holy life (Matt 26:28; Acts 2:38; 1 Cor 6:11-13; 1 John 1:6-7). The “saints” are members of the church viewed from the perspective of consecration. In fact, many times the letters begin like this: to the church with the saints. Some appear to use Jewish terminology, like James and Peter, to describe the people of God. The letter of James is written to “the twelve tribes in the Dispersion” (1:1); meanwhile, the audience for the Letters of Peter (if to the same audience) is depicted in the following way: “To those who are elect exiles of the dispersion” (1 Pet 1:1). However, in Peter’s second letter, he speaks of his audience as “those who have obtained a faith of equal standing with ours by the righteousness of our God and Savior Jesus Christ” (2 Pet 1:1). It seems like the language applies the covenant aspect that biblical Israel had with God, and here it is applied in a new way to demonstrate that Peter’s audience is the new covenant people of God (Jer 31:31; Heb 8:13). These are members of the biblical church. The Letter of Jude addresses his recipients with the nomenclature “called” and “beloved” (vs. 1). Their calling seems from the simple fact that they received their invitation (a clearer meaning of the term, kleitos translated “called”) to share the “common salvation”. Moreover, they received access to the love of God actuated in the redemption of their soul accomplished through Jesus Christ, thus, they are the beloved of God. What Jude emphasized that their identity was related to their Divine relationship through obedience to the Gospel. For our purposes, we are to understand that these “saints” and “beloved” ones are members of the New Testament church. The First Letter of John, much like Hebrews, does not begin in the traditional letter format. Some describe them as tractates or some larger form of literary work sent as a letter. Nevertheless, John assumes a relationship – a fellowship between the apostolic circle, God, and themselves – that is based on obedient living and faithful confession of sin as they strive to live a disciplined life (1 John 1:1-10). They already are in this relationship, they are saved. Again, in Hebrews 2:1-4, the evidence is provided regarding the recipients. They are encouraged to remain vigilant, not neglecting their salvation which was shown to have a supernatural origin. Likewise, these recipients are members of the biblical church. The last document in the New Testament is the Apocalypse, the Book of Revelation. The document opens up with these words: “John to the seven churches that are in Asia” (Rev 1:4). In the doxology, it is Jesus “who loves us and has freed us from our sins by his blood, and made us a kingdom, priests to his God and Father” (Rev 1:5-6). The audience, the churches, share salvation and the love of God, are part of a kingdom, and share involvement in the priesthood of God. The message of Revelation is the victory over the enemies of God as it is revealed in the inability of these satanic forces to prevent the faithful saints from entering the New Jerusalem, wherein lies the tree of life (Rev. 22.14). The brief but spiritually dense letters sent to the churches of Asia in Revelation 2 and 3 show among other things, the audience intended for the prophecies embedded into the fabric of this symbolic book. They assume that the recipients are already Christians, members of the church. The picture should be clear that the New Testament is a collection of 27 books which speak to or about the church of Jesus Christ. Consequently, anyone looking for a church should reverently approach the prospect with the New Testament as the guiding source for determining what the church that God established should look like and be like. McCord further observes that only twice does kuriakos – “the Lord’s” – appear in the New Testament (“the Lord’s supper” 1 Cor. 11.20; “the Lord’s day” Rev. 1.10), but in neither case is the phrase “the Lord’s house” ever employed. Of particular significance are those instances of ekklesia (rendering qahal) which denote the congregation of Israel when it assembled to hear the Word of God on Mt. Sinai, or later on Mt. Zion where all Israel was required to assemble three times a year. Interestingly, the Hebrew writer similarly speaks of the redeemed in Hebrews 12:22-24. Thus, a raw translation of ekklesia may suggest the meaning to be, “the called out ones.” In the biblical tradition, however, it seems better to emphasize that it carries the spiritual depiction of an assembly of God’s people prepared to hear and be led by His word in the covenantal sense. Stephen, the first Christian martyr, recounts how Israel was an ekklesia during the forty years of wandering in the wilderness due to their rebellion and lack of faith (Acts 7:38). And it was during this time that they were taught how to depend upon the Lord. The beautiful and yet tragic relationship between the faithful God and his unbelieving nation is set forth clearly in Psalm 78 (cf. Hos 11:1-9). The Lord’s goal was to “shepherd” and “guide” them with his powerful word and through the demonstration of his presence. With regards to the Lord’s church which Jesus promised to “build,” it is important that we consider these thoughts in our understanding of the kind of church Jesus was thinking of; as a consequence, it should guide our assessment of how “church” should behave. Individuals gathered together to hear and abide in his teaching, so that in it, they may be shepherded and guided (1 Tim 4:13). Meanwhile, leadership in the church (i.e. elders/shepherds) is to be “able to teach” and “manage” his household, and use these skills as he executes his God’s appointed office (Acts 20:28, 1 Tim 3:1-5). When the church considers this relationship and responsibility and embraces its challenge, we will be taking strong steps to finding a congregation of the Lord – a church of Christ. We find in the New Testament a consciousness the early Christians held regarding the church. Jesus was to build his church, and after his death, the church began in Jerusalem and spread throughout the Roman world through Judea, Samaria, and to the furthermost extents of known Roman world (Acts 1.8ff). As the church expanded, the apostles and other inspired authors wrote to Christians regarding the ministry of Jesus and concerning Christian living. Through these documents, important information is related regarding the nature of the church. Anyone searching for a “church” to attend should not settle for any church but should study the New Testament reverently identifying the nature of the church revealed in its pages. When examining the English word “church” we find that we are not talking about a building, but instead, the emphasis should be placed upon an assembly of people. These individuals are assembled to hear the word of God, and make those Divine words translate into everyday action – everyday living. Only until we hear and practice the Word will we become the church (ekklesia) of Christ. The King James Version (a.k.a. the A.V.) is quite misleading here, for the Greek text reads pulai hadou – literally, “the gates of hades.” The Analytical-Literal Translation of the New Testament (ALT) has the following descriptive rendering of the passage,”[the] gates of the realm of the dead [Gr., hades] will not prevail against it” (ATL Matt. 16.18). Again we disagree with the A.V./KJV-Byzantine tradition in Acts 2.47, where the word “church” (ekklesia) is part of a variant reading of the text. Instead, we agree with others who find that the ending better reads epi to auto, a phrase often used to refer to the “Christian body” in a collective sense (Acts 1.15; 2.1, 47; 1 Cor 11.20; 14.23; Bruce Metzger, A Textual Commentary on the Greek New Testament , 2d ed. [Germany: Deutsche Bibelgesellschaft, 2001], 264-65). Antioch of Syria is not to be confused with the Antioch of Pisidia in Asia Minor. BiblePlaces.com has good images of both Antioch of Syria (link) and of Pisidia (Link). Technically, there are a few more letters in the New Testament record, but each is embedded in other books. For example, the book of Acts has two letters (a) 15.22-29, and (b) 23.23-30; and, the book of Revelation has seven letters to the church of Asia (Rev. 1-3). Hugo McCord, The Everlasting Gospel: Plus Genesis, Psalms, and Proverbs, 4th ed. 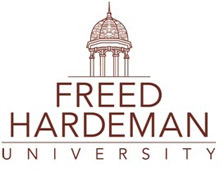 (Henderson, TN: Freed-Hardeman University, 2000), 696. This edition is known also as FHV4. McCord, The Everlasting Gospel, 696. Peter T. O’Brien, “Church,” DPHL, 123. O’Brien, “Church,” 124; TDNT 3:527; BDAG, 303. Etymologically, ekklesia does suggest that individuals were “called out” from their lifestyles by the Gospel (2 Thess 2:14). There is obviously a separation which occurs (2 Cor 6:17, 1 John 2:15-17). These etymological considerations corroborate with New Testament teaching on the church. However, the word has a richer heritage as is seen in its Old Testament use of the Greek language. These aspects must be appreciated in balance to each other. Wayne Jackson, “The Origin of Christianity,” ChristianCourier.com. Wayne Jackson, “The Restoration of First-Century Christianity,” ChristianCourier.com. 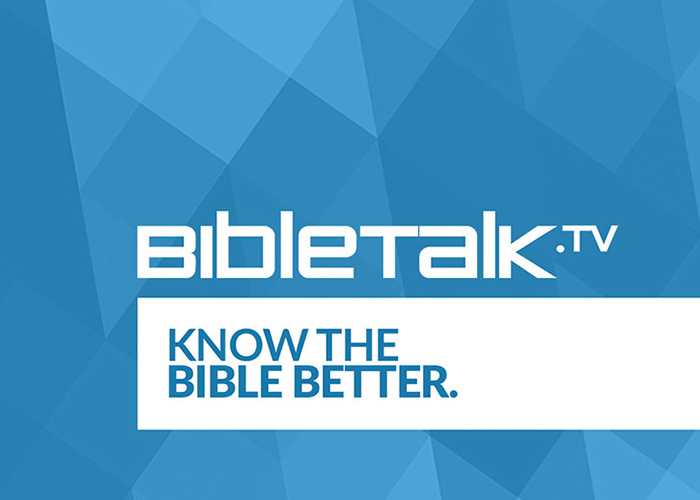 Background Bible study is fascinating and is perhaps one of the most important parts of biblical research. Obtaining a “behind-the-scenes” look into the biblical documents will “contribute to a more precise comprehension of the Word of God.” This observation can be said about the shepherd motif found in Scripture. Since it is dangerous to paint half a picture of anyone or anything – especially biblical topics; we stress, then, that this is but a footnote to the beautiful motif of the pastoral profession (i.e. the shepherd) often employed by the biblical authors. The “shepherds” failed to maintain the pastoral relationship with God’s flock; consequently, the sheep were scattered. Jeremiah, looking to post-exilic times, promises that God will restore the proper care to his flock with faithful shepherds (Jer 23:3-4). There are several related New Testament words used to the work of shepherding. The noun form is poimein, and refers to a shepherd, herdsmen, or pastor, and hence it is a metaphor describing a guardian-leader. The third translation option probably receives the most attention from among the three, and this is due to its connection with the eldership of the New Testament (Eph 4:11, here teaching-pastors), and its erroneous, but popular, usage in denominational circles. However, the New Testament uses the term significantly in its normal sense. Jesus refers to himself as “the good shepherd” in John 10:1-18 to distinguish himself from the leaders who had oppressed or neglected the house of Israel. Luke narrates the story of the shepherds, in the field with their flock, who were told of the arrival of the Messiah (2:1-20). Jesus warned his disciples that when he is handed over to the Jews, that they would be scattered like sheep when their shepherd is harmed (Matt 9:36 = Mark 6:34). But perhaps the most vivid pastoral scenes are of those moments that relate to our relationship with Jesus. The Lord is described as “the Shepherd and Overseer” of our souls (1 Pet 2:25; cf. Heb 13:20), who receives straying sheep as any good shepherd does. Another vivid scene using the shepherd motif is the Day of Judgment when Jesus “will separate people one from another as a shepherd separates the sheep from the goats” (Matt 25:32). This is taken from an understanding that sheep and goats were “pastured together” in Palestine, but at certain appropriate times they “require separation.” The figure is given Christian meaning as a metaphor of the judgment upon faithful and non-faithful Christians. There are so many relationship lessons that God has taken from pastoral care, we would do well to reflect upon it more. For example: at the birthing of a new lamb, the shepherd “guards the mother during her helpless moments and picks up the lamb and carries it to the field. For the few days, until it is able to walk, he may carry it in his arms or in the loose folds of his coat.” Could we not make an application from this? The shepherd and the lamb have a wonderfully tender relationship, and we would strengthen our fellowship in taking a lesson from this behavioral motif. Truly, we can see that a pastoral care for Christians will encourage us to help in the development and care of new converts. It will stimulate us to help heal wounded sheep, and protect them as they are nourished to good health. And more personally, perhaps we would be more receptive to the prodding and care by our shepherds in the church. The “pastoral” mentality is not only for the elders, we would all do well to lead on, or be led, ever so gently (Gen 33:14). In the Christian age, it is quite common for New Testament students to think of shepherd-pastors as only in terms of the office of a bishop/elder as mentioned in 1 Timothy 3. However, the imagery of a shepherd has a wide application to both describe religious leaders and the effects of their ministries upon their religious constituents, and it also describes how the Lord Jesus and the Father are both presented as providers and keepers of our souls. May we take from these lessons, practical ways, to reflect a pastoral concern for ourselves, our fellow believers, family, and our friends. 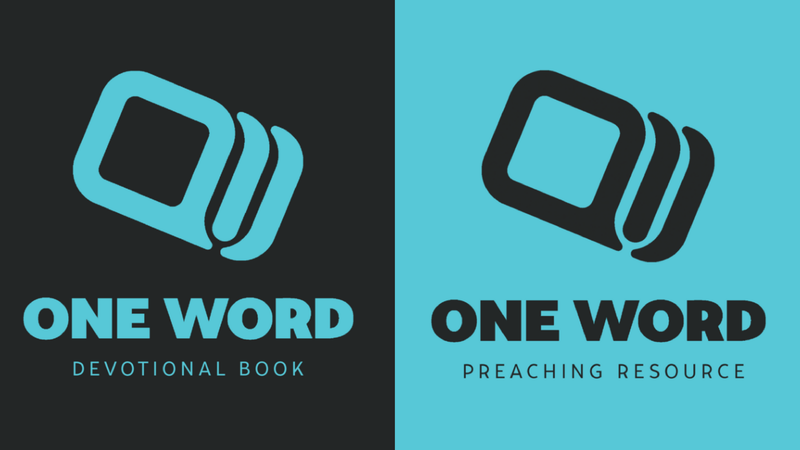 Wayne Jackson, Background Bible Study, revised ed. (Stockton, CA: Christian Courier Publications, 1999), 1. Madeleine S. Miller, et al., Harper’s Encyclopedia of Bible Life, 3rd ed. (San Francisco, CA: Harper & Row, 1978), 142. D. Johnson, Dictionary of Jesus and the Gospels, eds. Joel B. Green, et al. (Downer’s Grove, IL: InterVarsity, 1992), DJG 751. William E. Vine, Merrill F. Unger, and William White, Vine’s Complete Expository Dictionary of Old and New Testament Words (Nashville, TN: Nelson, 1986), 2:462, 569. Despite popular usage among denominations as a term for “minister,” a usage which J.P. Louw and Eugene Nida’s lexicon continues to perpetuate (L&N 53.72), typical passages used to support this idea are misapplied. Specifically, Ephesians 4:11 where there are four groups of leadership types (not five) set forth as recipients of the temporary “gifts” which enable the Christians to obtain maturity (Eph 4:12; 1 Cor 13:10). See J. Jeremias in TDNT 6:485-502. Jack P. Lewis, Matthew (Abilene, TX: Abilene Christian University Press, 1984), 2:137. J. Patch, International Standard Bible Encyclopedia, ed. James Orr (Grand Rapids, MI: Eerdmans, 1943), ISBE 4:2764. This is a reformatted version of the article which originally published in The Words of Truth (Montgomery, AL: 6th Ave church of Christ).